Think healthy, beautiful, radiant skin is just about having good genes and a personal skin therapy expert on your Hollywood A-lister payroll? Think again! HydraFacial™ MD is the celebrity secret to maintaining healthy skin throughout your life, but it doesn’t come with a celebrity price tag. Under the supervision of Board Certified Plastic Surgeon Dr. Gary Motykie, Motykie Med Spa offers HydraFacial™ MD, the lavish secret for getting deeply hydrated, detoxed and rejuvenated skin for a brighter, more luminous complexion. Best of all, the HydraFacial™ is a relaxing, indulgent facial treatment for your skin, not an invasive surgical procedure. 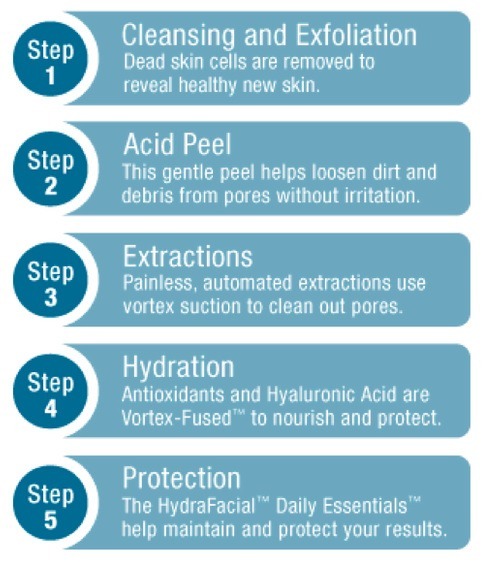 By combining advanced medical technology with luxurious and invigorating spa therapy, we’re confident that the HydraFacial™ system quite simply offers one of the best facials in Los Angeles. Please contact us, request an appointment online or call us at 310-276-6772 to arrange your visit to our beautiful, professional med spa serving West Hollywood, Beverly Hills, Santa Monica and all of Los Angeles. We will design a custom beauty action plan just for you after discussing all your skincare concerns. While many spas offer an array of facial treatment options, we design customized health and beauty packages combining expert therapies with patient education and personal attention, all in a relaxing spa setting. Each of our skincare treatments is designed by Dr. Gary Motykie, a Board Certified Plastic Surgeon known nationally for his extensive background in general health, nutrition, fitness and alternative wellness methods to heal your skin and body from the inside out.